You’re getting ready to move and you don’t want (or can’t) take all of your household goods with you to your next duty station. What do you do? Do you ask friends or family to keep some of the things you don’t plan on taking with you? Do you just take everything you can and hope it fits? Or do you find storage? Did you know that the government will store your household goods while you take orders to your next duty station? It sounds simple enough. But there’s a little more behind it than deciding whether or not you want to use long-term storage. You need to know if you qualify for the government’s non-temporary storage, what the whole process looks like, and if it’s even worth it for you to use long-term storage. Non-temporary storage (NTS) is long-term storage of your belongings used generally instead of shipping your items to your new duty station. The storage facility will likely be near the pickup location and will stay there for the duration of your next tour. You can request a delivery of your stored household goods when you get back and have an address. Your crated stuff packed by movers will remain crated during its stay at the storage facility. Your stuffed furniture has to be wrapped and stored on shelves individually. Your household goods can be left on the floor up to 72 hours at a time to allow space for staging and inventory. The facility does not have to be climate-controlled, but they do have to control the humidity levels. Want to see what a long-term storage facility looks like? Check out this article published on Military.com to see a video of a storage facility near Fort Campbell. Government-funded storage is most freely available for OCONUS moves but may also be used for CONUS moves on a case-by-case basis. If you don’t qualify for NTS, you can always consider self-storage. However, if you’re paying out of pocket, you’ll want to weigh the cost of storage versus the cost of renting or buying a home large enough to accomodate all of your belongings at your next duty station. 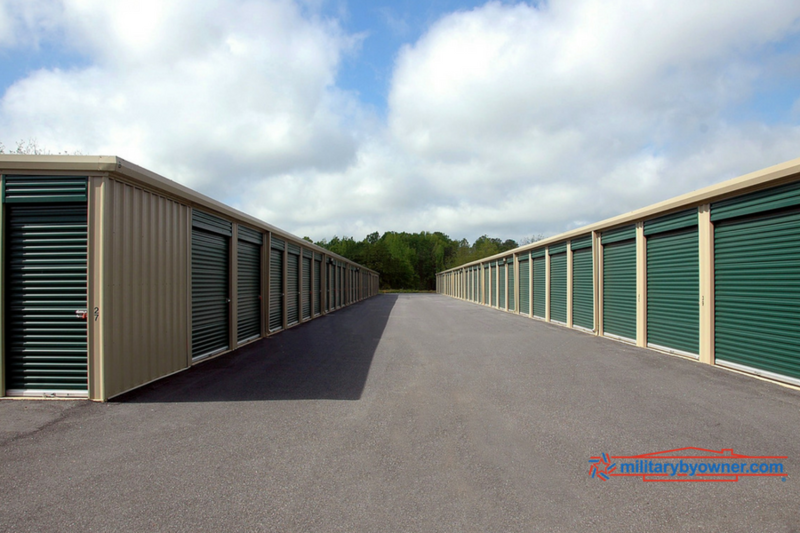 Storage facilities can be expensive, and you might find that it’s less expensive to spend above your BAH allowance on rent or a mortgage than to pay for self-storage. Allows you to downsize. 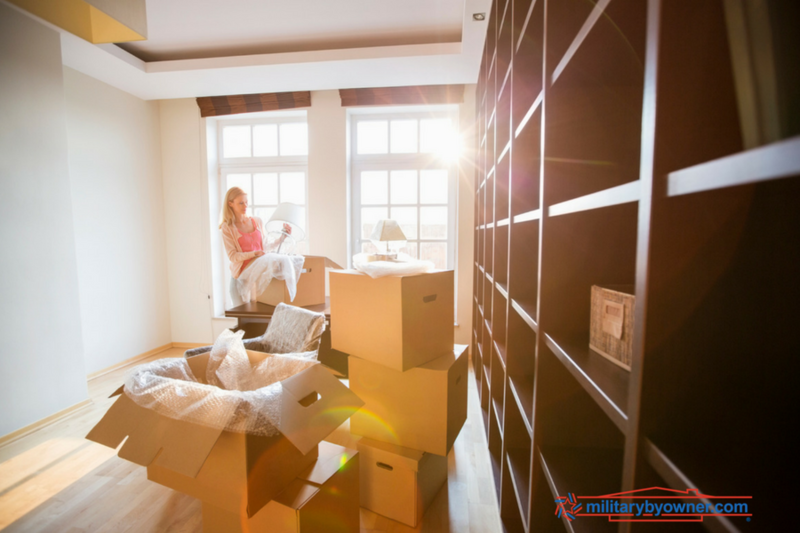 Utilizing long-term storage is a good option for military families preparing to temporarily downsize at their next location. It’s a great way to hang onto things like keepsakes that you know that you’re not ready to part with or just don’t have the space for at the moment. Makes an overseas move easier. Often, an overseas move involves downsizing to some degree, but you also run into other obstacles like different electrical outlets and weapon laws that can make some of your stuff illegal or unusable. Utilizing a long-term storage facility will allow you the luxury to keep things that you can’t use now but you plan to use later. Your things might depreciate. Electronics and cars will depreciate over time. Unless the car is completely paid off or a collectible, it’s probably not worth pouring money into storage to have when you return. Consider paying the shipping cost to take it with you or sell and buy something different at your next duty station. Your items might get damaged. We all know what to expect with movers. I mean, has anyone's stuff arrived unscathed after a PCS move? Even though your household goods aren't going as far when you choose to use NTS, if your movers don’t pack correctly, your items could be damaged just from sitting for a few years. Your stuff might date. What are you storing? With technology constantly progressing, any electronics like TVs, kitchen appliances, and computers will likely be outdated by the time you’re back to retrieve them. Go ahead and sell them before you leave and use the money to go towards replacement. It costs money. If you don’t qualify for NTS, ask yourself if it’s worth paying for self-storage. Any money you put into storage is money that you’re not putting toward other important things. You'll need to decide if your stuff is worth it. It’s easier to hoard. The items you store are often what you don’t use on a regular basis. And once in a storage facility, out of your hair, it becomes much easier to keep and avoid purging. Then suddenly, you’re paying for a room of stuff that you’re too afraid to face. Be terribly selective on what you put in your long-term storage. If you’re considering storing it instead of moving it into your new home, you need to ask yourself why and if you ever plan to use it again. If you're not sure whether or not long-term storage is the best solution, ask yourself a few questions. Can you live without the items you plan to put in storage? Will they depreciate while in storage? Are there adequate facilities available? Pack appropriately. Movers should include plenty of filling to cushion your items. And if you’re doing self-storage, not only should you pack well but you’ll want to be mindful of how you organize the unit. Life Storage Blog says to “keep boxes and furniture off the floor whenever possible. Improperly storing your items, even for the short term, can result in unnecessary damage and stress.” Lining the floor with pallets or buying storage tubs are great ways to get them off the floor and help prevent water damage should the facility flood. Ask for help. Since you’ll be gone for a handful of years, it’s a good idea to appoint someone to check on the unit from time to time. If your stuff is valuable enough for you to keep it you need to make sure that it’s well cared for. For instance, we used self-storage to house some of our things for the better part of a year. We dropped by and found that our lock was broken off one of our units and a new lock was placed on our second one. We were locked out. No one bothered to call us, so the only reason we found out was because we checked in person. Turns out, the facility staff couldn’t remember if the unit was in use, so they broke in to see what was there. And when we asked if the cameras caught who had broken into our other unit and stolen a few of our things, they told us the cameras weren’t in use. Don’t use plastic bags to pack. Wrapping things in plastic will help trap humidity and cause your things to mold or mildew. Instead, use paper, sheets, or drop cloths to protect your things and allow air to circulate. Use a vacuum sealer. Although vacuum sealing soft goods won't reduce your storage weight, it does protect winter clothes and bedding from the elements and creates more space. Disassemble furniture. Save money by consolidating your stuff in a smaller unit. Break down cribs, bed frames, and tables if you can. Label. Be sure to label the contents of each box before storing. 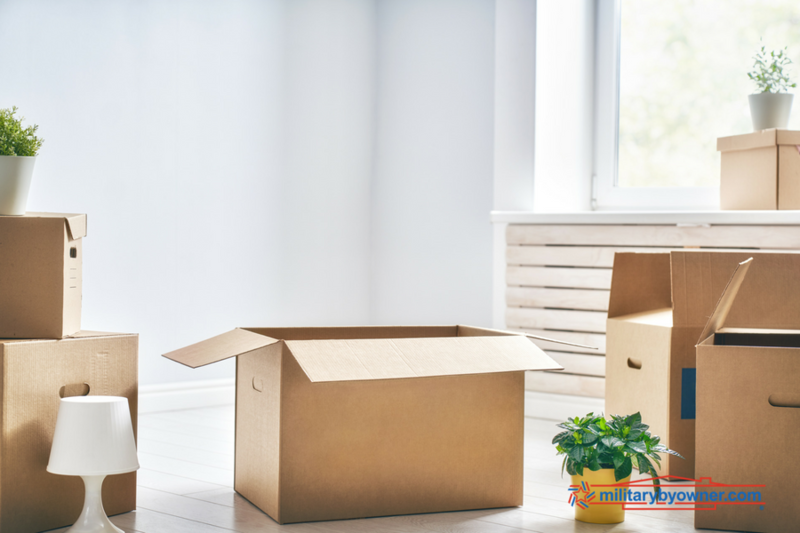 Not only will it be much simpler to unpack when you’re ready to retrieve your household goods, but if you’re planning on getting items out of storage, they will be easier to find. Only store what you need. Don’t use a storage facility to hide your clutter, especially if you’re paying for self-storage. Only pay to store things that pass the purge test and that you know you’ll use again one day. Choosing to use long-term storage isn’t an easy decision. 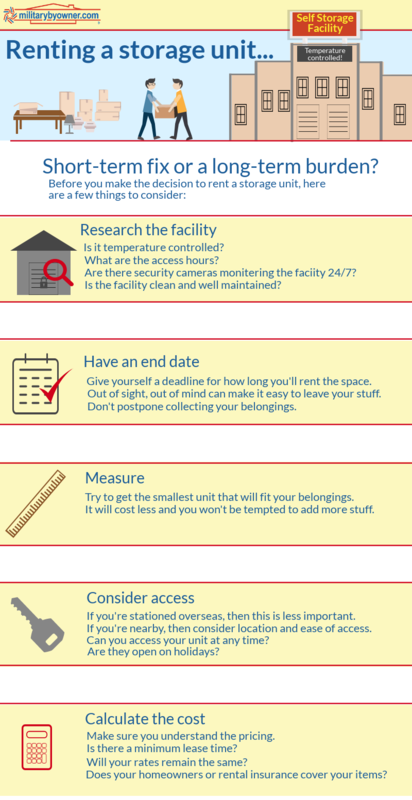 There are a lot of factors to consider and a lot of questions you need to ask yourself, especially if you’re considering self-storage. Need more tips for an upcoming overseas move? Check out our free ebook Overseas PCS Survival Guide where you’ll find answers to all your overseas PCS questions!